Because of You by Jessica Scott is on sale today for 0.99, if you are unfamiliar with this series it is about a group of military men and their families. The stories are told from the perspectives of multiple characters and because the series is based on a tight knit group most characters are in all the books. It is a really good series I discovered. Jessica Scott is in the military so it seems pretty authentic to me, but I would not really know. Check it out if your curious, it never hurts to download a sample after all. I loved this book, I loved the characters they seemed very real. Vic Carponti is about to deploy with his unit to Afghanistan as part of ” The Surge.” He will be gone for a year and of course that means he will miss Christmas. His wife Nicole is used to his deployments this is not his first and it will not be his last. The unit relies on Vic for his sense of humor and his ability to diffuse situations, and he loves his job and his unit so where they go he goes. This deployment feels different to every one involved from the start and once the unit is over seas that feeling only intensifies. Nicole is not only facing the holidays without Vic but it will the first Christmas without her father as well, but she does her best to keep busy and not let it bother her and Vic who is torn between wanting to stay with his unit on Christmas and wanting to make a hard holiday better for her especially since he admits he “misses a lot of them” tries to find a way to make everyone happy until events move out of his control and show them both the spirit of hoe and renewal that is so much a part of the holidays and a part of their lives. The novel has a good pace and rhythm to it as it switches between life in the states and the deployment. I loved some of the small details that are woven into the story such as the gnome that Nicole debates buying for Vic and the fact that she forces herself to buy a tree and put it up but it never seems to get decorated. The story is full of little details that make it seem all the more real. I also loved Jessica’s biography at the end. This is the first Jessica Scott book i have read, but I plan to read her others. It seems that lots of my favorite authors got together and decided to put their books out very close together so that I have lots of books I want to read and lots of holiday things to do starting in a few weeks, what’s a girl to do? May-be I’ll get the audio versions from the library and listen to some while I bake. While I ponder how to get more hours into my day here are the new additions to my to read list. Not that this list is all inclusive by any means, this is but a small sampling of what is going to be out in the book world by the time we close the books on 2013. Here are the ones I plan to read although it will probably be next year for some of them. Duck the Halls By Donna Andrews Out October 22nd. The latest Meg Laslow Mystery and this one is holiday themed. Ever After by Kim Harrison comes out in paperback on October 29th as well. 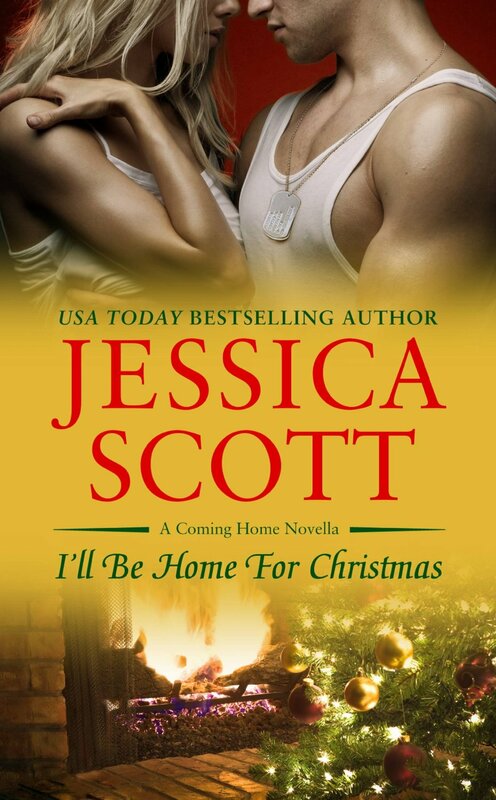 I’ll be home for Christmas by Jessica Scott Out November 5th. I got to sample this one and I loved it, more on that once it is available. It is an e reader only book and Amazon and Barnes and Noble both have it. I believe it is 0.99. Well worth the cost. A great feel good holiday story. The All Girl filling Stations Last Reunion by Fanny Flagg Out Nov 5th. I love her books can’t wait for another one. the first phone call from heaven Mitch Albom Out Nov 12th. As you can guess by the title this one will raise some questions i got a peek at it already. Very enjoyable and though provoking. Takedown Twenty by Janet Evanovich Out November 19th Stephanie and company are back. Also Notorious Nineteen comes out in paperback on November 19th if you missed it. Another book on my to read list that is already released is A Seaside Christmas by Sherryl Woods. I loved the Chesapeake Shoes series and was sad when it ended so I really did feel like I was getting a present when I saw this. What is on your to read list? What upcoming releases are you looking forward to reading?